Demolition work began this week on the site of the former Grandma’s Saloon & Grill near the University of Minnesota. The restaurant closed in 2008 for a number of reasons, including the weak economy and the 2007 collapse of the Interstate 35W bridge over the Mississippi less than one mile away from the eatery. The property, at 1808 Washington Ave. S., is owned by a partnership called Minneapolis Venture LLC, that includes Bob Lux, of Minneapolis-based Alatus. Neither Lux nor his business partner at Alatus, Phillip Jaffe, could be reached for comment. The city of Minneapolis issued a demolition permit to Frattalone Cos. on March 24 for work estimated at $80,000 on the site. The site is on the West Bank of the University of Minnesota, in a district known as Seven Corners, near the law, music and business schools. It isn’t clear exactly what Alatus is planning to do with the site or when. It is probably just clearing the site to get rid of an eyesore and the liability of the empty building, and to prep the land so that it can get moving more quickly when it finally is able to move forward on a new project there. 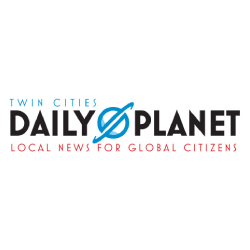 In 2008, Minneapolis officials gave preliminary approval for Alatus’ plans to build a 25-story building on the site with 369 apartments, however that agreement with the city has expired and Alatus would need to go through the approval process again before it starts construction of a new project, according to a source at City Hall. Next post If not a casino, what’s Plan B for Minneapolis’ Block E?